Joy-Leilani Garbutt, a doctoral candidate in musicology at the Benjamin T. Rome School of Music, has been awarded a Fulbright U.S. Student award for Study/Research in France during the 2018-2019 academic year. Garbutt’s Fulbright project draws upon her research in early 20th-century French organ music composed by women, particularly Joséphine Boulay, Mel Bonis, Nadia Boulanger, Lili Boulanger, and Jeanne Demessieux. Garbutt serves as the minister of music at Christ Lutheran Church in Washington, D.C., the organist for the Takoma Park Seventh-day Adventist Church, and choral accompanist for the Spencerville Seventh-day Adventist Church. She is also a student of Jeremy Filsell, a member of the organ faculty at the Johns Hopkins Peabody Institute. In addition to a Master of Education degree from the Harvard Graduate School of Education, Garbutt holds a Master of Music in organ performance from Northwestern University, where she served as Organ Scholar for the Alice Millar Chapel Choir under the direction of Stephen Alltop, senior lecturer, conducting and ensembles. 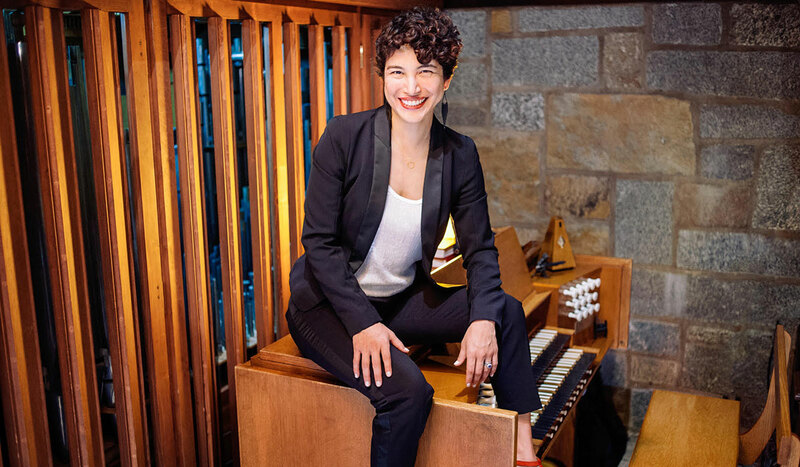 As an organist and harpsichordist, she performed with the New England Youth Ensemble in England, South Africa, New Zealand, Australia, and Mexico. Garbutt will be the 45th Fulbright Student from The Catholic University of America. The U.S. Student Fulbright Program is the flagship international educational exchange program sponsored by the U.S. government and is designed to increase mutual understanding between the people of the United States and the people of other countries. Recipients of Fulbright ​grants are selected on the basis of academic or professional achievement, as well as demonstrated leadership potential in their fields. The program operates in more than 160 countries worldwide. For information on applying for the U.S. Student Fulbright program through Catholic University, email Karen Carducci, Fulbright Program advisor, at 73carducci@cua.edu, or Jennifer Paxton, director of the University Honors Program, at paxton@cua.edu. Information is also available on the fellowships and grants website at http://honors.cua.edu/fellowships/default.cfm.